Google’s new Senior Vice President of Android and Chrome, Sundar Pichai announced that in the coming two weeks, the company will release a developer SDK for wearable devices. This will create a standard method for sensors to “talk” to the Android OS. He did not indicate as to whether Google was building a new wearable device or not, but there are rumors of the company collaborating with LG for a new smart-watch. The new SDK will make it simpler for companies to make wearable devices for Android. Google’s new SVP had even discussed a wide range of issues related to how the company imagines its two operating systems being rolled out around the world, and how people will use and implement them. The big announcement regarding the new SDK was made as he discussed the potentially huge market for the Android operating system on devices beyond smartphones and tablets. Google is well aware that mobile devices offer tremendous opportunities for growth, and Pichai lauded the full range of phones, ranging from sub-$100 devices to high-end smart phones, which can lead to the next billion users. Pichai feels that full focus on the platform is a clever way to position Android as a real player in the wearable industry without committing Google to building them itself. Google’s most renowned wearable device is the Google Glass. This device has an optical head-mounted display that shows information based on natural language commands. It also has a 5-megapixel camera that can record videos at 720p. The Google Chromecast also uses code from the Android operating system. Pichai stated that they were over one million Chromecasts that were sold so far, and it will be released internationally soon. Google has competed with Apple on numerous different categories, and wearable technology markets will not likely be an exception. Google’s Android platform is the most popular one in the world, with a market share of 61.9%. 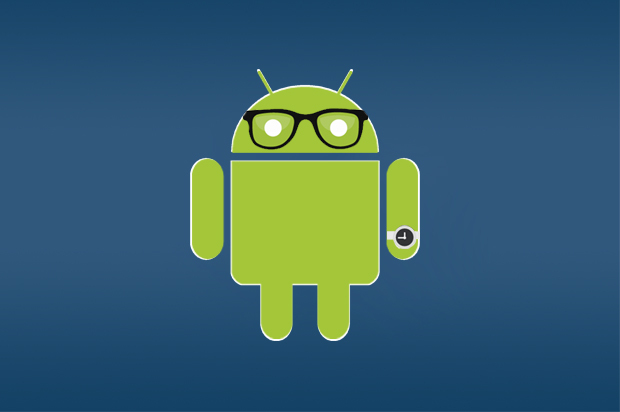 Android’s market share will continue to skyrocket by providing a new SDK for wearable devices.